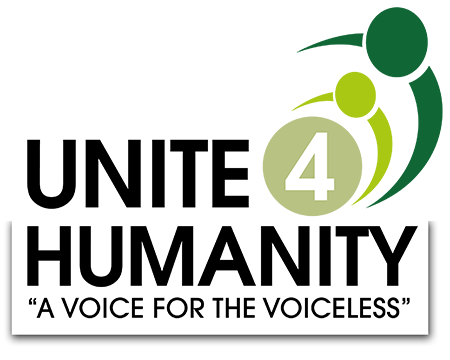 This policy applies to all persons – Trustees, Members, Staff, Associates and Volunteers – involved with Unite 4 Humanity. What a Conflict of Interest is Not. It’s very common, even at the mere mention of a “Conflict of Interest”, for people to start thinking suspiciously of the individuals concerned having covert agendas and disreputable schemes for greedy selfish gains. So we need to be absolutely clear that there’s nothing immoral or illegal in Conflicts of Interest per se. On the contrary, they are absolutely normal and inevitable in individuals and groups who are enthusiastic, active and dynamic in their interests – exactly the kind of people who make good charity Trustees and volunteers. Interest are not properly declared, acknowledged and managed. Why Conflicts of Interest Occur. This can be due to deliberate exploitation of the situation by one party for their personal benefit. Fortunately this is relatively uncommon. exploitation is clearly totally unacceptable, is often illegal (particularly in a charity situation if charitable funds are being diverted away from the charitable activities for which they were donated) and must be stopped as soon as it is recognised and the individual “dealt with appropriately”. More commonly, it can be due to people being unaware of the legal environment in which they are operating and so act in an improper (perhaps even illegal) way under the misapprehension that they are doing the right thing in the best interests of the organisation. But “Ignorance of the law is no defence” is a widely held and accepted maxim. Also very common is the assumption that a person is “very honest and respectable and therefore wouldn’t do anything that wasn’t in the best interests of the charity” – ie: wouldn’t have any Conflicts of Interests. Trustees who adopt a cavalier dismissive approach to either/both their own Conflicts of Interest or to those of others will find little sympathy from the Charity Commission should those Conflicts of Interest result in significant misuse of the charity’s funds or resources. It is therefore vitally important that all Trustees take a very open approach to declaring any Conflicts of Interest that they think they might have (“If in doubt, declare it” is a good maxim) and are very accepting and supportive of the Conflicts of Interest declared by others (including other volunteers, members and staff, as well as fellow Trustees). A well-maintained Register of Conflicts of Interest (see below) is the best defence against suspicions or accusations of impropriety against individual Trustees. What a Conflict of Interest is. ¨ risk the impression that Unite 4 Humanity has acted improperly. The aim of this policy is to support honesty and integrity through the open declaration of such Conflicts of Interest that may arise and, thereby, to protect both the organisation and the individuals involved from any appearance of impropriety should such interests not be declared. All trustees, staff, associates and volunteers are required to declare their interests, and any payments (including, but not limited to, benefits in kind such as gifts, hospitality shopping/travel concessions, preferential treatment, etc) received in connection with their role in Unite 4 Humanity where such interests would, or might, conflict with, or otherwise influence their decision-making in respect of the charity’s activities. As the nature and issues involved in Conflicts of Interest can vary considerably there is no prescribed form for declaring a Conflict of Interest. If you have, or think you might have, a Conflict of Interest, as described in the section above you MUST write to the Board of Trustees and declare your Conflict of Interest or involvement at the earliest opportunity. If you are not sure what to declare, or whether/when an earlier declaration needs to be updated, please err on the side of caution. If you would like to discuss this issue, please contact the Secretary or one of the Trustees of Unite 4 Humanity for confidential guidance. Remember: declaring an Conflict of Interest is NOT, per se, a declaration any impropriety on your part or by anyone else. It’s only FAILING TO DECLARE a Conflict of Interest which carries with it a significant risk of impropriety, particularly if the Conflict of Interest were to result in a failure to comply properly with charity law. Interest they are obliged to report it to the Board of Trustees even if you do not. When a Conflict of Interest is declared. All declarations of Conflicts of Interest will be treated with appropriate confidentiality. All declarations of Conflicts of Interest will considered by the Trustees to assess the level of risk to the charity and what actions need to be put in place to eliminate or, at least, mitigate the risk. In more complex cases, the Trustee may appoint one (or more) of their number to look into the matter in more detail. If it is felt that more information is required to assess the Conflict of Interest more fully the Trustee leading the assessment will contact the individuals involved. All declarations of Conflicts of Interest will be be recorded in the charity’s Register of Conflicts of Interest, even if, having considered the declaration, the Trustees conclude that the declared Conflict of Interest presents no significant risk to the charity. For further details of the Register see the section “Register of Conflicts of Interest” below. Any Trustee who is implicated in a Conflict of Interest, whether directly or as a connected person, may not participate in the assessment of the risk but may be called by the Trustee(s) undertaking the assessment to provide further details or answer specific questions. You may, however, participate in discussions from which you may indirectly benefit, for example where the benefits are universal to all users, or where your benefit is minimal. The information provided will be processed in accordance with data protection principles as set out in the current Data Protection legislation. Data will be processed only to ensure that trustees, staff, associates and volunteers act in the best interests of Unite 4 Humanity. The information provided will not be used for any other purpose. In the event of the Board of Trustees having to decide upon a question in which a Trustee or member of staff has an interest, all decisions will be made by vote, with a simple majority required. A quorum must be present for the discussion and decision; Any person, whether or not a Trustee will not be counted when deciding whether the meeting is quorate and may not vote on matters affecting their own interests. the actions taken to manage the Conflict(s) of Interest. Where it is determined that a Trustee with a Conflict of Interest may nevertheless legitimately benefit from the decision, this will be reported in the annual report and accounts (in accordance with the current Charities SORP when applicable). All payments or benefits in kind to Trustees will be reported in the charity’s Trustees Annual Report and Statement of Financial Activity, with amounts for each Trustee listed for the year in question. Where a member of Unite 4 Humanity’s Trustees, staff or Associates are connected to a party involved in the supply of a service or product to the charity, this information will also be fully disclosed in the Trustees Annual Report and Statement of Financial Activity. Independent external moderation will be used where conflicts cannot be resolved through the usual procedures. The Charity will maintain a Register of all reported Conflicts of Interest which will contain, as a minimum, the following information. a) The date on which the Conflict of Interest (CoI) was first reported, supplemented where appropriate by the dates on which any changes to the Conflict of Interest were reported, including the date on which the Conflict of Interest ceased to be an issue. f) Mitigation of the Conflict of Interest – i.e. : the steps taken by the Trustees to ensure that the Conflict of Interest does not adversely influence the charitable activities of the Charity. This register of interests shall also be used to record all gifts of a value over £20 received by the trustees, staff, associates and volunteers. Interests and gifts will be recorded on the charity’s register of interests, which will be maintained by the Secretary of Unite 4 Humanity. The register will be accessible to all the Trustees/Directors of Unite 4 Humanity. requests from Members must be for specific information in pursuit of a legitimate concern and not casual enquiries just to see what the register contains.